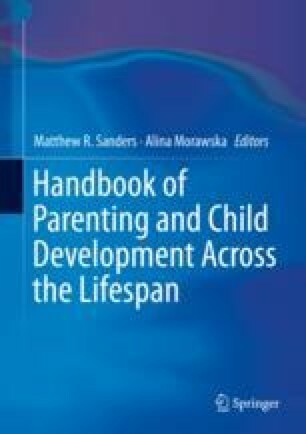 This chapter outlines the role of poverty, financial stress, and employment on a range of parenting and family outcomes. Globally, families have a range of experiences with work and finances. Some families live with high levels of financial stress and pressure. The impact of poverty on family and child outcomes is well documented and negative. On the other end of the spectrum, some parents are gainfully employed but experience other challenges in managing competing work and family demands. This chapter aims to cover both ends of the spectrum by outlining the negative consequences of poverty and financial disadvantage, as well as the outcomes of work and family conflict for employed parents. Additionally, we specifically acknowledge that employed parents may still suffer the consequences of financial pressure even if not living below the poverty line. We address the relevant theoretical background for both the impact of poverty and financial pressures, and work–family conflict on families, and the mechanisms through which family and child outcomes are impacted. We review the strengths and limitations of the existing empirical literature, provide recommendations for future directions of research and discuss the implications of current knowledge for policy and practice. The Parenting and Family Support Centre is partly funded by royalties stemming from published resources of the Triple P—Positive Parenting Program, which is developed and owned by the University of Queensland (UQ). Royalties are also distributed to the Faculty of Health and Behavioural Sciences at UQ and contributory authors of published Triple P resources. Triple P International (TPI) Pty Ltd. is a private company licensed by UniQuest Pty Ltd. on behalf of UQ, to publish and disseminate Triple P worldwide. The authors of this report have no share or ownership of TPI. Drs. Haslam and Burke receive or may in future receive royalties and/or consultancy fees from TPI. TPI had no involvement in the writing of this chapter. Drs. Haslam and Burke are employees at UQ.